The Inter-University Program for Chinese Language Studies (IUP), formerly known as the ‘Stanford Center,’ is now in its 14th year in Beijing on the campus of Tsinghua University. It is a U.S.-sponsored Chinese language program intended for students who aspire to truly advanced competence in the language, whether they be undergraduates, graduates, professionals, or established scholars. The Inter-University Program for Chinese Language Studies (IUP), formerly known as the 'Stanford Center,' is now in its 14th year in Beijing on the campus of Tsinghua University. Originally established in Taipei, Taiwan in 1963, IUP relocated to its current site in Beijing in 1997. It is the premier U.S.-sponsored Chinese language program intended for students who aspire to truly advanced competence in the language, whether they be undergraduates, graduates, professionals, or established scholars. IUP currently offers a 32-week Academic Year Program, a 16-week Semester Option, and an 8-week Summer Intensive Program. All programs are located on the Tsinghua University campus in Beijing.The program guarantees a 1:3 teacher-student ratio for group classes and a one hour daily private tutorial for students. Some tuition waivers are awarded for the Academic Year Program and the Semester Option. Students may also obtain outside funding to attend IUP. Unlike most language programs where instructors are hired seasonally to minimize overhead expenses, IUP's instructors are hired for the long term. This provides a consistently high quality language program for serious students. All of IUP's instructors are trained in the IUP method and are properly mentored to deliver the best instruction available. 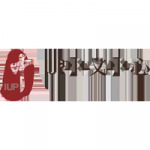 IUP's mission is to raise students' Chinese language proficiency to a level at which they can function independently in professional or academic careers. Recent IUP graduates who have chosen to pursue careers in China have proven that their IUP-acquired linguistic skills have enabled them to function successfully in such areas as business consulting, management, public relations, law, education and journalism.